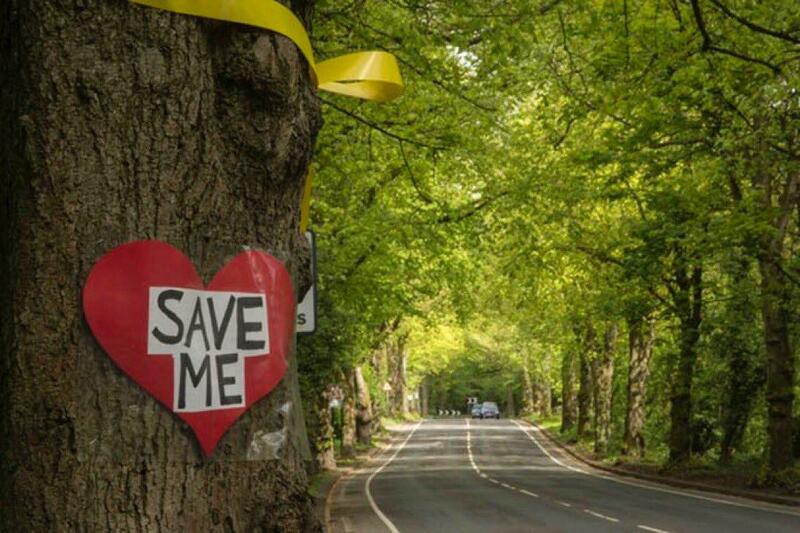 If there is one thing that has come out of Sheffield City Council’s attack on Sheffield’s healthy street trees it is the certainty that the city’s residents really care about their trees. Trees soften the hard edges of the streetscape and provide a place for nature in the midst of our urban metropolis. Street trees are integral to a positive community fabric simply by being present outside the window day in day out. 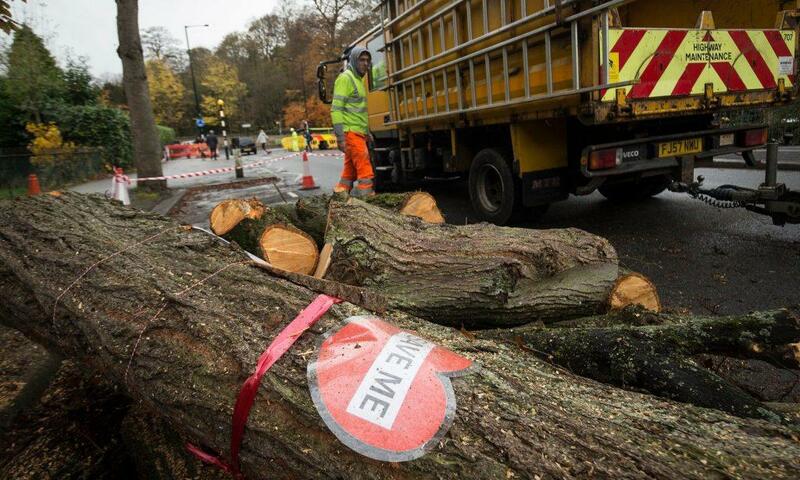 Removal of these trees, for no good reason, is severing an essential link with the natural world. We might have travelled a long way since our emergence from the wildwood, the forest that once covered the majority of the British Isles, but trees are still the strongest signifier of our natural origins and preserving urban woodland is integral to the survival of Britain’s woodlands overall, which now cover only 12% of the landmass. Upon hearing personal stories about connections with particular street trees, it would take a cold heart to ignore the psychological benefits of our arboreal friends. One Sheffield resident who suffered with postnatal depression was, for many months, unable to walk far from home and, for her, street trees became one of the most positive influences on her healing process. Watching the birds; catching glimpses of squirrels and bats; and hearing the windy susurration of leafy crowns – these things gave her hope. Urban trees also make many important contributions to ecosystem services, right where they are needed most - where the majority of people live and where the greatest demands are placed on our planet’s resources and its capacity to rebalance itself - the city. There is, of course, a flip side to this: the tree haters, and the reasons for their hostility are complex. Some residents focus their ire purely on the tree outside their property because it: drops leaves, casts shade, and, particularly in the case of lime, allows aphids to drip their sticky honeydew onto cars. Leaves can be swept up, crowns can be reduced to allow light though and honeydew washes off or, better still, covers can be put over vehicles to protect paintwork. If the Council had been able to meet its tree-management obligations over the last three decades (lack of resources being the problem) then many trees would not have grown so large and so dense as to block light. Well-maintained trees would have been less disruptive to pavements and kerbs, both commonly cited reasons for wanting a particular tree to go, as smaller-crowned trees put out fewer exploratory roots. Admittedly some residences are suffering foundation movement due to tree roots, however at some point this genuine problem, which requires specialist monitoring that may lead to tree removal, has become conflated with the other annoyances listed above. Another class of individual believes that trees have no place on a residential road. Some people think that every tree is waiting to fall on them or their house; but structural problems affect only a small percentage of urban trees and it is a threat that the Council is quick to deal with. Most upsetting is the person who thinks that nature does not belong in cities, simply because it is untidy and not of the human realm – these people have my sympathy as they are so far along a path of denial about what is good for the psyche and the planet that they must be more hollow inside than an ancient oak. With all the good will in the world it is impossible to communicate the benefits of trees to someone who only sees them as a problem. Recently there have been many column inches written about the crisis in children’s mental health – access to nature has proven to be one of the most effective, and cheapest, interventions available. This has to start on the doorstep, literally, as not every child has the chance to experience nature in any other context. This is why it so important not to send mixed messages about how we value trees; if a parent or grandparent has zero tolerance for the tree outside their home, yet arranges family visits to parks and woodland, what kind of illogical, dualistic thinking is being perpetuated? The message we need to communicate to the coming generation is that the trees next to where we live are as valuable as the ones inside any woodland. In the spirit of appreciating what we have left the Street Tree Art Sheffield (STARTS) project was launched back in September. Each week it visits a different area of the city with threatened trees and invites people to draw, paint and otherwise record the scene before Amey, or their subcontractors, arrives to fell the condemned. It has been a lively project and recently became the seventh Woodland Trust ‘Charter Branch’ within the city, along with STAG; Save Dore Trees; Crookes, Western Road & Walkley Tree Action Group; the Friends of Burngreave Cemetery; Friends of Gillfield Wood; and my own Sheffield Woodland Connections project. All this activity is indicative of the level of commitment that Sheffield people have to preserving the city’s trees, wherever they are growing. 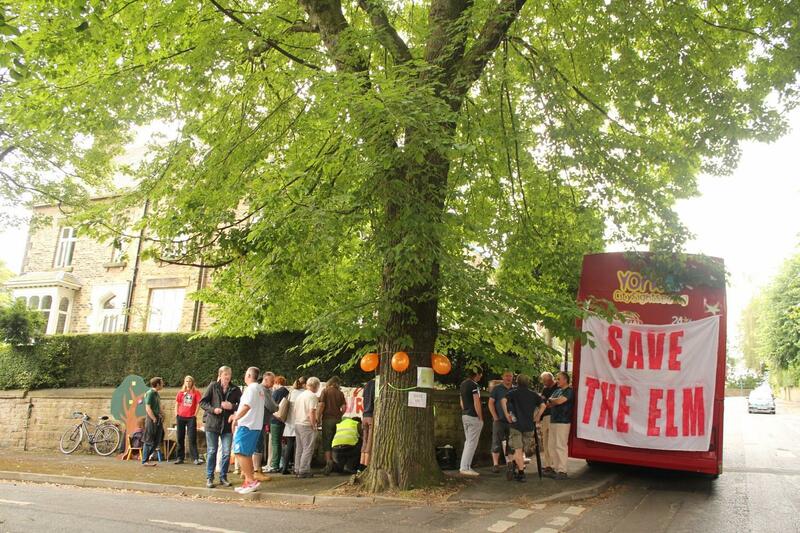 The Sheffield Tree Action Groups (STAG) umbrella has helped bring together the other local tree action groups that have sprung up across the city by having a concentrated social media presence and a primary entity that talks to mainstream media. Through the STAG website, Facebook and Twitter, we have been able to put the other side of the story across, including the facts and figures that Sheffield City Council has no interest in communicating. There is little doubt in my mind that our campaign would not have achieved what it has without the interconnectivity promoted by social media and the ease with which we have been able to solicit the views and support of diverse public figures. From Michael Gove to George Monbiot, we have sought help from them all and the impact of our campaign has been enhanced as a result. 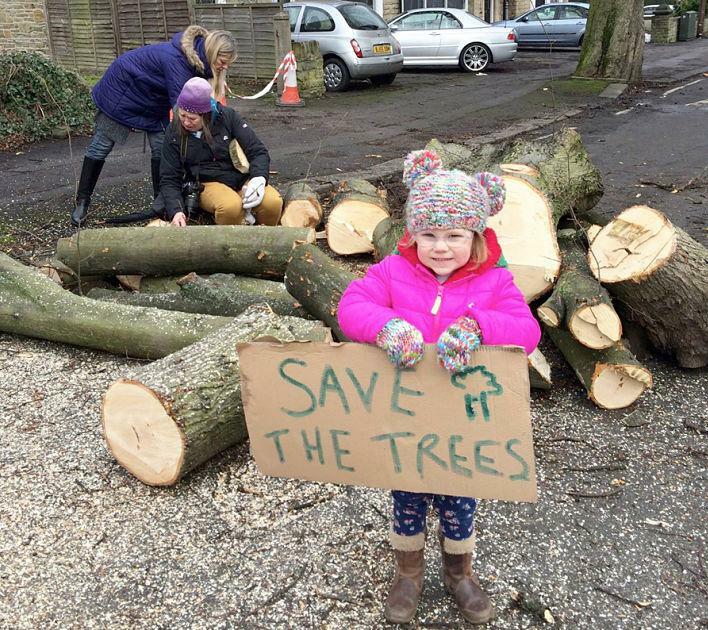 We are still saving some trees and losing others, however we have a louder voice than ever and what has been learned in Sheffield may yet save healthy trees in other towns and cities from needless destruction.